The Convention Center is situated directly at the Premiere Palace Hotel. The distance to the Antalya International Airport is about 40 km. Most rooms at Premiere Palace Hotel are already block booked for ICSM2018 participants. The participants are recommended to stay at the conference venue hotels since the hotel fees include all meals and drinks, many other use of facilities. This is a place with 24 hours service of ultra all inclusive. A certain number of rooms are secured for session chairs, senior scientists and invited speakers. Other rooms are booked on first-come first-served basis for regular participants. Free of charge: Animation shows in the day time, sauna, Turkish bath(entry), Jacuzzi, mini golf, table tennis, basketball, beach volley, dart, aerobic, fitness centre, six tennis courts (hard ground). 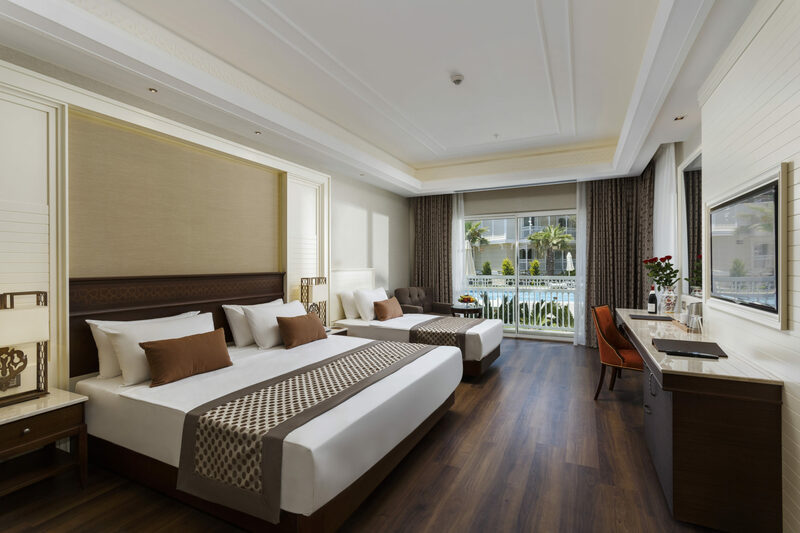 With charge: SPA center, treatments in Turkish bath, massage, billiard, motorized water sports and water sports, paragliding at the beach which will be offered by private firms, floodlight for tennis courts, tennis equipment. Hotel room reservations should be made at the end of the registration process. Ultra all inclusive concept at the venue hotels mean that all meals and drinks are all provided with free of charge. Tebrik ediyorum, başarılarınızın devamını yürekten dilerim. Do not miss out the major scientific & innovative event of the year in 2018 in Turkey! !